← The Chancellor’s Changes To Employment Tribunals – An Attack on the Workers? Joan McAlpine MSP Gets It Oh So Wrong on the Supreme Court Asbestos Case – No Lassie No! It is the job of Parliament, both at Westminster and Holyrood, to make laws. Whilst a parliament full of lawyers is a prospect too horrible to contemplate, one would hope that the MPs and MSP’s charged with passing legislation would have some grasp of the issues before them. That often seems lacking however. In addition, as I have mentioned before, the standard of coverage of legal issues in the Scottish media falls far short of the levels of the past, and of what helps properly to enlighten the public. On 20th September the Scotsman printed a fine example of the “double whammy” of a journalist and MSP producing a woefully inaccurate article. Step forward Joan McAlpine, SNP list MSP for the South of Scotland. Ms McAlpine has had a distinguished career in journalism, and latterly moved into blogging with the acclaimed Go Lassie Go blog. In May she won a seat at Holyrood. On 20th September however her piece was so incorrect and inaccurate that there was some discussion about whether or not it could have been part of a “Spot the Deliberate Mistake” competition! Her article seems to have been written as a follow up to this earlier piece by Gareth Rose. Mr Rose wrote his piece, with comments from interested parties and despite an over statement of the effects of the particular condition referred to, namely “pleural plaques”, there was little to fault. This would appear to have prompted Ms McAlpine to pick up her pen and she wrote, under the headline “Shameless Effort to Evade Justice may Affect us all” about the legal challenge brought to the UK Supreme Court by insurers seeking to overturn the Damages (Asbestos-related Conditions) (Scotland) Act 2009, passed by the Scottish Parliament. “ANYONE who thinks the row over the Supreme Court is esoteric should pay attention to a case due in the next few weeks, when insurance companies ask judges to “protect” them from workers with industrial disease. The Supreme Court is asked to overturn an Act of the Scottish Parliament that compensates workers exposed to asbestos on the grounds that this popular legislation violates insurers’ human rights. The decision is due this Wednesday 12th October, the case having been argued at the UK Supreme Court, and televised live on the internet, in June. Mr Rose noted the due date for the judgment but Ms McAlpine seems to have missed that. The case is not about insurers asking for protection from workers with industrial diseases either. The case is about whether or not the Scottish Parliament has the competence, standing the terms of the devolution settlement, to pass such a law. Whilst there are a number of claimants named in the proceedings who are persons alleging that they suffer from pleural plaques, they were not sued by AXA and the other insurers, but intervened in the case to have their voices heard, as they were allowed to do by Lord Uist reported at AXA Insurance and Others v Lord Advocate and Others  CSOH 36. The issue is undoubtedly an important one, but not for the reasons suggested by Ms McAlpine. And the popularity of a piece of legislation has no bearing, as far as I can see, on its legality! Now you might think the man with damaged lungs is more deserving of legal protection than the loss adjuster. It’s one thing to respect the dignity and privacy of all human beings, no matter what they have done. But extending this principal (sic) from individuals to institutions is a bizarre development. Do insurance companies bleed? Do they gasp for breath? Let’s pass quickly over the spelling mistake and move to the next errors. Ms McAlpine seems surprised that insurance companies are claiming the protection of “human rights”. Whilst that might, at first glance, look odd, the position has been clear for many years. Article 6(1) of the European Convention for the Protection of Human Rights and Fundamental Freedoms provides, inter alia, that “In the determination of his civil rights and obligations…everyone is entitled to a fair and public hearing within a reasonable time by an independent and impartial tribunal established by law.” The full title of the ECHR refers to fundamental freedoms and is not restricted to human persons only. A company is, in law, a legal entity and it too has the right referred to under Article 6 for example. There is no issue therefore about a company having “human rights”. It does. Ms McAlpine, echoing Shylock in the Merchant of Venice, then goes on to contrast the flesh and blood worker with the soulless corporation. But her reference to “gasp for breath” is, as I will show below, also inept. If they prick us, do we not wheeze...or something like that? Asbestos is now recognised as a carcinogen. The lagging and insulation material was once widely used in construction, and particularly in the traditional shipbuilding communities such as Glasgow, Clydebank and Greenock. Survivors tell stories of leaving footprints in deadly dust that covered workshop floors like a light dusting of snow. Asbestos was hailed upon its discovery as a fantastic material – waterproof, fire-resistant and easy to use. However, it had one drawback – its use could prove fatal to those who worked with it or who inhaled the asbestos dust of fibres. By saying that “now” asbestos is recognised as a carcinogen ignores the fact that that has been acknowledged since at latest the 1970’s. In 2007, judges in the House of Lords in their wisdom decided that pleural plaques were a condition that merited no compensation – reversing the practice of 20 years. The decision prevented future sufferers from pursuing a claim and those who had started one were then left with nothing – the UK government has now retreated and offered the latter a one-off lump sum which is time limited. The 2007 case, known as Rothwell  UKHL 39, was where the House of Lords overturned around 20 years of legal understanding by declining to treat pleural plaques as being a compensatable injury. This was not some heartless decision by faceless judges, but a reasoned and principles, though widely disputed, judgment. To see why it came about, we need to look at what pleural plaques actually are. Pleural plaques are areas of scar tissue on the pleura. The pleura is a two-layered membrane surrounding the lungs and lining the inside of the rib cage. In virtually all instances of pleural plaques there are no symptoms and you can live with them without having any long-term problems with your health. you are likely to get a serious disease in the future. While exposure to asbestos does carry a risk of developing a serious lung disease, such as asbestosis, mesothelioma or lung cancer, scientific evidence shows that having a pleural plaque does not increase that risk. Pleural plaques are not the same as asbestosis and they are not a pre-malignant form of cancer. Do people need treatment for pleural plaques? No. If you have been exposed to asbestos, but have no symptoms, such as breathlessness, there is no need to have any treatment. If you develop a cough which lasts a long time (more than three weeks) or you cough up blood, it is important to see your doctor straight away. Although these are not symptoms of pleural plaques, it may mean that you have a different, more serious, illness. Does anyone die from having pleural plaques? Do people need an operation? No. There is no need to treat pleural plaques in any way. So we have a symptomless condition that, whilst being a marker of asbestos exposure, is not a guarantee that any further condition will develop, nor is it a step on the way to the deadly asbestos related conditions such as mesothelioma. It was for this reason that, after 20 years where claimants for asymptomatic pleural plaques might receive from £5,000 – £10,000 compensation, the House of Lords decided that, as there was no “injury” within the legal meaning, there was no right to compensation. The insurers, some of whom have gone out of business as a result of asbestos related liabilities, were delighted. Whilst the sums awarded by way of damages were much smaller than in an asbestosis or cancer case, the fact was that the vast bulk of asbestos injury claims related to pleural plaques. This decision therefore saved the insurers possibly billions of pounds. Understandably there was an outcry, but the Rothwell case did not attack the awards for conditions where there was suffering caused. However the Scottish parliament moved to defend victims inside its legal jurisdiction and in 2009 passed The Damages (Asbestos-related Conditions) (Scotland) Act to ensure the Lords decision did not apply here. It received cross party support in Holyrood. The insurance companies were shameless. This should not really surprise us – they had previously tortured asbestosis sufferers by dragging out their cases for years in the hope the claims would die with them. Now I hold no great love for insurance companies – my professional career has been largely spent fighting with them, but we must acknowledge that insurers are a business looking to make a profit. As a result they try, as far as they can, to reduce what they pay out. However, the canard that they want to drag out cases till the claimant dies, and thus save money, is one long in the past. The law gives no advantage to the insurance company in these circumstances now, as the claim passes on to the deceased’s next of kin. In fact, some recent decisions at the Court of Session suggest that it might now cost insurers more where they claimant dies than if they survive. To say that a business doing what it is legally obliged to do – namely to act in the interest of its shareholders, is shameless is unfair. 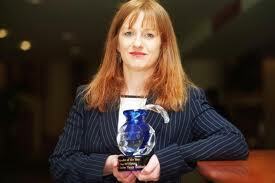 Does Ms McAlpine wish the few remaining insurers based in Scotland, if “shameless”, to leave? The companies challenged Holyrood’s 2009 Act, without a scintilla of embarrassment. Indeed they were brazen in their contempt, not just for the law but for the people of Scotland and the parliament we elected. When the Court of Session in Edinburgh twice throw out their challenge earlier this year, David Williams, the claims and underwriting director of Axa, was reported as saying the industry had always doubted that a Scottish Court would overturn an Act of the Scottish parliament. This insinuates our most senior judges are compromised by nationality. The courts are there to adjudicate on legal disputes. Is Ms McAlpine suggesting that the insurers ought not to have been allowed to test the issues in court? I fail to see how using the procedures that are there can be seen as contemptuous towards the law, the people of Scotland and the Parliament. Ms McAlpine refers to the Scottish court twice “this year” throwing out the challenges. In fact Lord Emslie, at  CSOH 2, delivered a lengthy and erudite opinion running to 2409 paragraphs of detailed legal analysis. As might be guessed from the citation, that occurred in 2010, the decision being issued in fact on 8th January that year. The insurers then proceeded to appeal to the UK Supreme Court. There has been a long-standing right of appeal in civil cases to the House of Lords, the UKSC’s predecessor. There are few of the constitutional issues which arose when some, including the First Minister, accused the UKSC of interfering in Scottish criminal law in the Fraser case. Whilst Mr Williams, quoted by Ms McAlpine, was not tactful, his comments were much less offensive to the judges, I would guess, than those of Mr Salmond and Mr MacAskill, who accused the UKSC of “ambulance chasing”! As Ms McAlpine is a staunch Scottish Nationalist, one might think she would be happy that the Scottish courts have a reputation for standing up for Scottish law! There seems to be a refrain in the SNP of treating the UKSC as a “foreign” court. Yes, it sits in London, but generally has at least two Scottish judges sitting in any Scottish case. As has been commented in the context of the Fraser case, it seems odd that the SNP seem to dislike a court sitting in London comprising 40% Scottish judges, but welcome the European Court, where there is one British judge! That case is due to be heard in London early next month. Many observers believe the companies have little hope on Human Rights grounds – the case hinges on their property rights – though stranger things have happened. As already mentioned, and indeed as had been reported in the Scotsman, the appeal was heard previously and the judgment will be issued on 12th October. 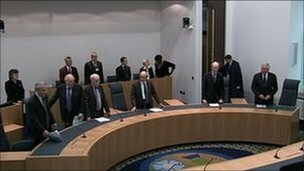 Having watched much of the case it is fair to say that the performance of counsel for the Scottish Government was unimpressive, leading to online discussion (not seriously I should add) as to whether or not counsel had been instructed to ”take a dive” so as to lose the case, allowing the SNP to complain that their laws were being overturned by a “foreign” court. Sad to say, Ms McAlpine’s article would actually lend weight to that frivolous theory! And again the snide reference to the case being heard in London – one can hear the sneer in our Parliamentarian’s voice! After the invective directed at the insurers by Ms McAlpine for arguing about human rights, it is of note that she acknowledges that, in fact, the “property rights” case is observed to be the stronger leg of the insurers’ submissions. But there are even greater issues at stake if the asbestos ruling goes the wrong way. If the insurance companies win, you will effectively see a London court overturn an Act of the Scots Parliament that has with widespread support from other political parties, the trades unions and churches. The immorality and injustice of this would not be lost on the people of Scotland, particularly as it would be impossible for the Supreme Court to similarly dismiss Acts of the Westminster parliament, which is regarded as a sovereign, law-making body in the way Holyrood is not. Once more we have a disparaging reference to London, ignoring the fact that the UKSC is, as the name hints, the Supreme Court for the United Kingdom! As already mentioned, if Holyrood has exceeded its competence, then it does not matter how “popular” the legislation is – it is ultra vires and cannot stand. For my part, I agree with the judges in the Court of Session regarding this issue, but there is an issue on the retrospective application of the Act which flies against commonly recognised legal principles. Ms McAlpine’s complaint is that the UKSC cannot strike down a Westminster Act. Of course, under the present constitutional arrangements, like it or not, the Scottish Parliament is a creature of Westminster legislation. The powers of Holyrood derive from the Scotland Act, and Westminster can, short of Mr Salmond making a unilateral declaration of independence, increase or decrease those powers. That is what the present debate on the Scotland Bill is about. It might be thought indeed that it is the Westminster position which is anomalous. After all, the US Supreme Court can strike down legislation as can the Supreme Courts in many jurisdictions. The courts can, and should, act as a bulwark against unconstitutional and unfair legislation. This exposes the sham of the current constitutional arrangements. Scots, increasingly, are proud of their parliament, expect it to protect them and want it to have far greater powers. It is sovereign in the eyes of the people because they are sovereign and it is they who elect it. Ms McAlpine refers to the present arrangements as a “sham”. My trusty dictionary defines a “sham” as a “piece of pretence; something pretending or pretended to be what it is not”. The present arrangement is what it is – it is not what Ms McAlpine wants it to be. That does not make it a “sham”. And if and when the SNP get round to having their much promised referendum, we will find out what the Scottish people want, rather than having Ms McAlpine declare what that is. Even if the damages legislation is not found to be in contravention of human rights law, the court may still grasp the opportunity to extend its authority over Scotland’s parliament. The 1998 Scotland Act says Holyrood laws can only be challenged if they intrude on reserved issues, breach European law or violate the ECHR. The insurers are also asking for a ruling that there is a right to appeal under common law as well – though the system is of course different in Scotland and England which complicates matters further. If the Supreme Court, in which only one of its current contingent of eleven judges is trained in and has detailed experience of Scots Law, said an act could also be reviewed on common law grounds, Holyrood’s status would be relegated to that of local council. It would open the floodgates and any law could be challenged on just about any grounds. Such a ruling would be a sort of ritual humiliation, but would we put up with it? It is, I am sure, a political decision by the SNP to characterise the UKSC as an arm of Westminster, sitting in its “London” lair, striving to take control of Scotland’s affairs. The court has to deal with the issues put before it. 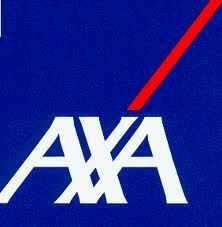 Lord Hope did not ring up AXA Insurance to tell them “Between us, here is what I want you to argue before the court”. As their Lordships mentioned in the judgments referred to in the Court of Session, these issues are very difficult for the court to determine. One could easily see circumstances where a Scottish Government, of whatever hue, sought to pass a law which was abhorrent to the SNP, and where the Nationalists would be delighted for the UKSC to come to Scotland’s aid. But politically it suits for the judges to be disparaged. As Lord Emslie said in his ruling “But if, hypothetically, a Scottish parliament were ever to legislate in a manner which could be described as a flagrant and unconstitutional abuse of power (it would be) unthinkable that the courts should have no option but to hold themselves powerless to intervene”. 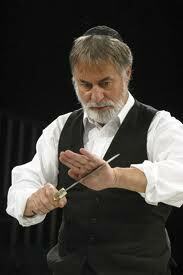 It is true that there is only one Scottish judge out of 11 just now. That is because Lord Rodger sadly died and for each Scottish case heard since his death, including in fact this one, one of the judges from the Court of Session has sat along with Lord Hope to make up the second Scottish judge. Ms McAlpine is right that any law could be challenged on any ground. But the courts would kick out frivolous or nonsensical arguments, whilst applying full and rigorous analysis to serious cases. If the UKSC rules against the legislation, this would not be a “ritual humiliation” but a decision that the Parliament has gone wrong. We have had devolution since 1999. How many Acts have been declared invalid since then? If Ms McAlpine’s thesis is to be accepted, then this would have been a common event, even if only since the SNP took over in 2005. It has not happened. The decision in the AXA case will not leave Holyrood left akin to a “parish council”. This is a David and Goliath clash, whatever angle you view it from. It should not be a party political matter. Kenny MacAskill, the justice minister has said the Asbestos Damages Act was the piece of legislation he was most proud of in the SNP’s first term in office. It had support right across the Labour movement and from industrial injuries lawyers such as the late Frank McGuire whose contribution fighting for justice was marked in a motion by Labour’s Johanne Lamont just this week. 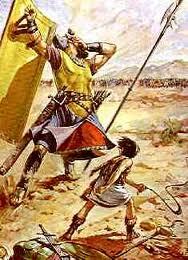 It is interesting that a battle between on one hand insurance companies, and on the other, the Scottish Government is classed as a “David v Goliath” affair. I suspect that Ms McAlpine wishes to classify the UKSC as Goliath, and the plucky SNP as David. In either event, this is a gross distortion. As mentioned above there is an argument about the payment of compensation to people “suffering” from a symptom free condition. If this was a situation where the law was created to allow payment of compensation for asbestosis or mesothelioma, that would be entirely different. But that is not what this Act is about. It relates to pleural plaques. Ironically, the Surpreme (sic) Court challenge also comes at the same time as the 40th anniversary of the Upper Clyde Shipbuilders work in, which was commemorated in the parliament last week. 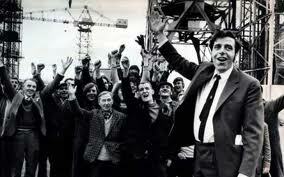 UCS played a considerable role in boosting the campaign for Scottish Home Rule that gained momentum from the early 1970s. Here we come to the nub – this, in the same way as UCS in the 1970’s, is being used by SNP politicians paying little or no attention to the legalities and realities of the argument, in a Scotland – good; London – bad argument. As I said at the start, this would be bad enough from a journalist, but far worse when coming from a Parliamentarian. It was believed a parliament in Scotland would protect shipbuilding and the men who worked in the yards. Four decades later, it is appropriate that the casualties of that industry should be central to a battle over where power should lie. The “casualties” referred to are not suffering. The issue is whether the Scottish Parliament went beyond the rules which govern its competence. The UKSC Justices will declare their decision on this on Wednesday. It would be interesting to see what Ms McAlpine’s reaction would be to an order from the European Court that an Act of the Scottish Parliament was invalid – how would that square with her declarations of the people’s sovereignty? For the avoidance of doubt, as lawyers are prone to say, I am happy that the Scottish Government legislated to make compensation payable to pleural plaque sufferers, as people with that condition had been so entitled for 20 years prior to Rothwell. I have always been on the side of the “wee man” against the “big business”. But that is not the issue here. We have a prominent politician and writer disregarding the facts for political purposes. I do not suggest that Ms McAlpine has written her piece having decided to ignore the truth which she knows. Instead she has written it, I can only assume, without having ascertained the full position. It just goes to show that the standard of writing and comment on legal matters in Scotland, whether by press of politicians, is woeful, and I fully expect that the decision on Wednesday will do nothing to change that view.